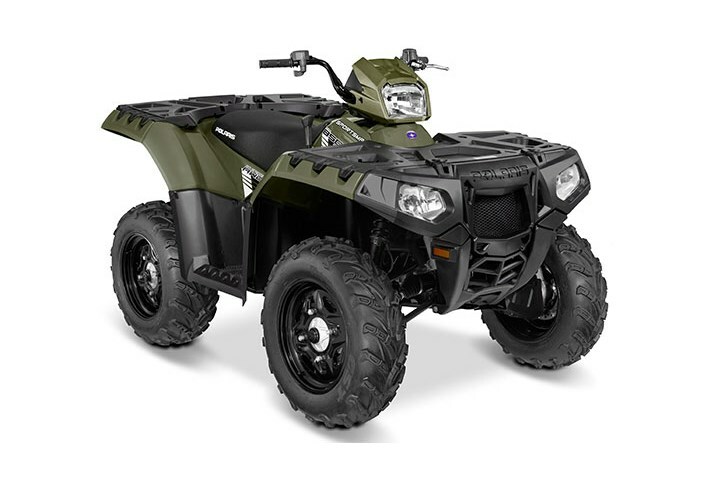 Industry's Best Value 800 Class ATV When it comes to getting a powerful, hard working and smooth riding ATV nothing beats the value and performance of the Sportsman 850 on the trail, at work or on the hunt. Powerful 78 Horsepower ProStar™ 850 Twin EFI Engine The High-Output 850 Twin EFI engine with a SOHC cranks out 78 HP. It delivers outstanding acceleration off the line with incredible power to the ground. Add-in a clean fuel burn and smooth power delivery with dual-balanced shafts and you’ve got the power you're looking for to trail ride and hunt. On-Demand True AWD The best automatic 4x4 system out there, the AWD engages all four tires when the rear wheels slip and you need more forward traction and automatically reverts back to 2WD when you don’t. Engine Braking System (EBS) With our unique Engine Braking System (EBS), the engine assists with braking on hills and steep declines. 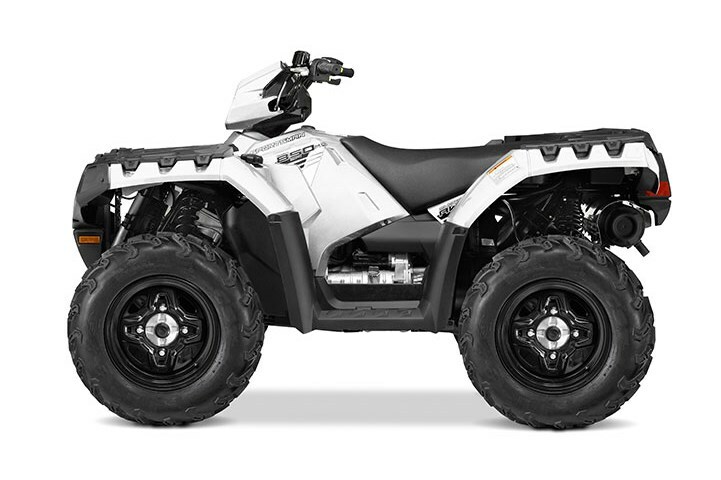 Polaris Dual-Sensing EBS senses both engine RPM and vehicle torque load for smooth controlled descents. Hard Working 360 lbs. Combined Rack Capacity Carry more with a combined front and rear rack capacity of 360 lbs (240 lbs. Rear, 120 lbs. Front capacity). 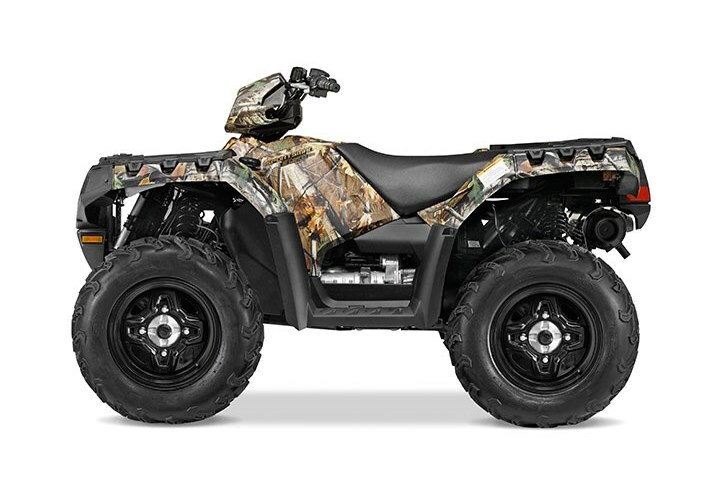 Sportsman 850 features flat racks and over 100 tie down points. Massive 1,500 lbs. Towing Capacity Class leading 1,500 lbs. Towing Capacity with an integrated 1.25" receiver. Steerable Headlight Pod High-visibility headlight pod for a total of 3-50W Halogen headlights. Integrated Plow Mounts & Glacier Pro® Plow System Drive Up, Clip In & Go with the Polaris Engineered™ Glacier Pro® Plow System. Legendary Smooth Independent Rear Suspension (IRS) Years of innovation and relentless tuning have refined the ride to a level unmatched in the industry. Rolled Independent Rear Suspension (IRS) angles the shocks rearward for 10.25" of travel leading to a smoother ride and less squat during acceleration. 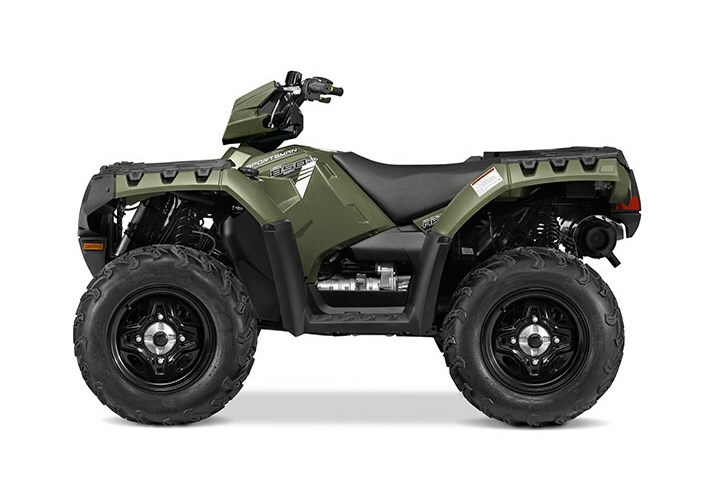 Dual A-Arm Suspension with Anti-Kickback Steering Placing the steering axis near the neutral center of the tire and having the long Dual A-Arm Front Suspension dramatically reduces kickback and minimizes rider fatigue that comes with jolts to the handlebars from trail and ground obstacles. 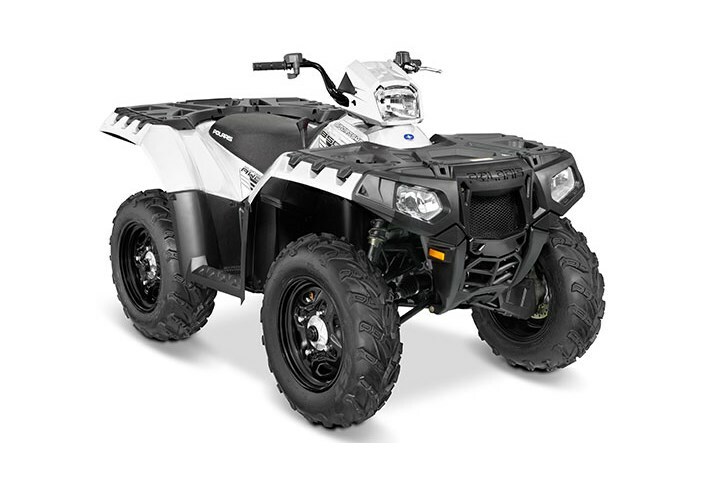 Class Leading Ground Clearance With 11.5" of ground clearance, clear bigger rocks, navigate deeper ruts, and go where other ATVs can't. Built For Comfort With the engine rotated 90 degrees, riders enjoy 33% wider floorboards and narrow vehicle width at the knees and ankles. The narrower seat reduces leg fatigue and increases rider comfort.